Social media has become a global phenomenon. When we talk about social media at the present age, Facebook pops into our mind as one of the most popular social media platforms. While Facebook has brought a number of benefits to users across the globe, it has also some serious disadvantages. Online dangers are growing day by day, therefore to keep an eye on your children's Facebook activity, you need to hack their Facebook. 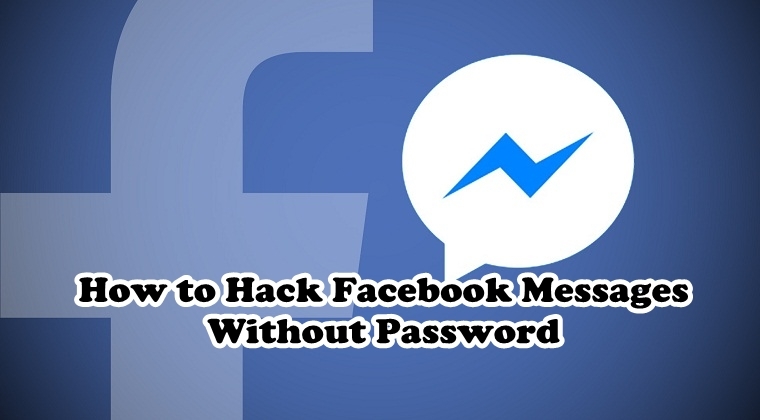 Let's find out how to hack Facebook messages without password. With social media dangers increasingly becoming rampant day by day, it is important for parents to keep an eye on their children's Facebook activity to provide them with a safe online experience. On the other hand, if you are in a relationship and you want to know what your partner has been doing on Facebook all day, then even in that case you can hack their Facebook messages. It would be surprising to know that a Facebook account can be hacked and Facebook messages can be monitored without knowing the password of someone's account. If you are having such serious concerns, then you may want to know how to hack Facebook messages without password. Read this article to find out the best solution to this problem. For many years, hackers have been coming up with different techniques to hack someone's Facebook account without password and gain complete to their account. Most popular methods include phishing, social engineering, resetting someone's Facebook password, etc. On the other hand, there is another group of hackers that have put up several Facebook hack tools on the internet, claiming to hack one's Facebook account. When you search for Facebook hack solutions on the internet, you will come across many hack tools. The majority of those tools are bogus and they don't even work. Hackers ask you to download a particular software or fill out online surveys in order to get your personal information which they may use against you at some point. We would not recommend you trying those fake Facebook hack solutions. Facebook monitoring is a technical job which cannot be done so easily as the social media giant has really tightened its security measures to gain the trust of its users. Thankfully, there's a reliable monitoring tool that allows us to hack someone's Facebook messages without even knowing the password to their account. There are a couple of monitoring solutions available in the market that offer monitoring features for your desktop computers and mobile devices. However, we will recommend you give it a try to Mobistealth as it's known to be a reliable Facebook hack tool. Mobistealth doesn't require you to download a third-party software or an app or even does not ask you to fill out any online survey to conduct the Facebook hacking activity. What it really does is, it monitors your target's device and gives you an update on all their device activity, including Facebook messages. All you need to do is download and install the monitoring tool on your target's device which can be either a desktop computer or a mobile phone and then wait for the tool to send their device activity to your online Mobistealth account. As soon as Mobistealth is deployed on the device, it starts recording the activity and sends all the information including the Facebook messages to your online account. It allows you to remotely monitor your target's Facebook messages from anywhere and at any time. Mobistealth is, in fact, one of the best Facebook hack tools which enables you to stealthily hack someone's Facebook messages without even knowing their password.